Editor’s Note: Derek Andersen is the founder of Startup Grind, a 12-city event series helping educate, inspire, and connect entrepreneurs. He’s also ex-Electronic Arts and the founder of Vaporware Labs. A lot has been written about the real estate turf war between San Francisco and Silicon Valley. Most point out that many of the developers these companies target live in the city. The nightlife, walkability, and culture are identified as reasons for the trend. But if the heart of Silicon Valley is losing its allure to startups, why is there no real estate space available? The answer is that Silicon Valley is as hot as ever and here’s why. The basic premise of these reports is that San Francisco is winning the startup real estate battle right now as companies like Zynga, Twitter, and AirBnB are choosing to put down big roots in the city. This trend is not new to the Valley. Downtown Palo Alto has been ground zero through numerous growth cycles, including this one. When tech markets heat up and office vacancy evaporates in downtown Palo Alto, founders have to make the call on whether to stay and battle it out in the low vacancy locations or head to where growth is less inhibited. The rental rate/vacancy chart referenced in Rip’s recent article shows the lowest vacancy rates existing between Redwood City and Mountain View, with Palo Alto at 2.2%. As of today the vacancy rate in downtown Mountain View is almost the same. The biggest ‘problem’ with Palo Alto’s real estate market may not be the allure of the city, it may be it’s own occupants. Today Palantir is not only leasing everything available but also pre-leasing any space coming available. Founder after founder has privately complained to me about Palantir’s real estate addiction. Their signage might not be on the buildings, but they’re up and down University Avenue. Where does that leave a promising startup with high hopes and anywhere between $1M-$100M in funding? The answer: San Francisco. Consider Pinterest. They’re moving to the city despite what multiple sources describe as desperately wanting to stay in Palo Alto. But there is no room in the freaking inn. THERE IS NO VACANCY! Other companies like Stripe were in downtown Palo Alto and had to move to the city to grow. Votizen was in Mountain View but also moved north. So the real dilemma for SV faithful may be how the growth of companies like Palantir and A9 in downtown Palo Alto affect the Valley long term? If former Palo Alto startups like Google, Yahoo, and HP had made the move to the city in their youth would they have come back? Sure Facebook grew much like Palantir in downtown Palo Alto and didn’t leave the city in ruins, but they moved out long before reaching Palantir’s current occupancy level. Before even considering their Menlo Park location, Facebook attempted to secure more than 1M sq/ft in South Palo Alto’s Stanford Research Park. They tried very hard to make Palo Alto work longterm. What about companies like IDEO, Quora, and Spec (also in downtown)? Where can they go? Trust me these companies aren’t the least bit excited to look beyond Silicon Valley for a new office but they may have no choice. Would Pinterest uproot their whole team again in 5-years to move back to the Valley? 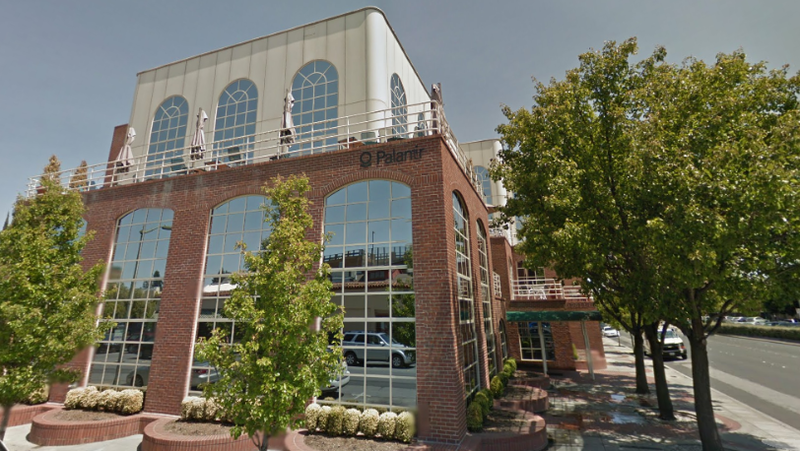 Downtown Palo Alto will always lose companies as they outgrow current supply, but will the expansion of companies like Palantir affect the future of the Valley by forcing the hottest young start-ups to lay deep roots in the rising SF scene? It’s a problem. While great companies are flocking to the city, it shouldn’t be assumed that it was their first choice. SF is a great place to have a startup, but if size and cost of Palo Alto spaces were apples to apples with San Francisco, based on what many founders have told me most would choose to stay. That makes this a supply and demand issue as much if not more than a lifestyle issue. The reality is that the market is red hot and there is simply no vacancy at the Silicon Valley inn.